In many areas of the world travelling by motorbike is a popular option – even for families with multiple children! As a gap year traveller you may find yourself in a position to zip through traffic on a motorbike, but don’t forget that you have many responsibilities before getting on such a vehicle. To begin with, you must make sure that you have a valid driving licence and that you are of the legal driving age in the country which you are travelling. You must also ensure that you have valid motorbike insurance, and hopefully medical insurance as well. Finally, reading up on the local rules of the road before climbing on a motorbike will help keep you, and everyone around you, safe. In many parts of the world you may be able to hire out, or even buy, a motorbike without having to show a valid driving licence. This may seem like a blessing while you are travelling, but in reality it can endanger both yourself and others. If you think you might like to ride a motorbike during your gap year, make sure that you obtain a full driving licence before leaving home. In the United Kingdom, those aged 16 and over can take the driving theory test to ride a moped, but a valid provisional licence (aged 17 and over) must be obtained for completing the Compulsory Basic Training (CBT) and road test for a full driving licence including motorbikes. 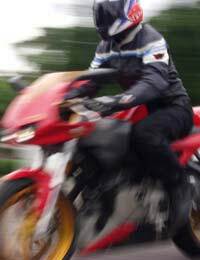 For more information about motorbikes and driving licences, visit your local county council. In addition to a valid licence from the UK, some countries may also require you to hold an International Driving Permit (IDP) before you can legally drive there. To apply for an IDP, visit The AA (www.theaa.com). Individuals must be aged 18 and over as well as hold a full, valid UK driving licence in order to obtain an IDP. Motorbike insurance can be purchased on its own, though some gap year travellers may also want to investigate if their travel insurance covers them for dangerous sporting activities including motorbike or motorcycle hire. Unfortunately, motorbikes have a higher rate of injury associated with them so making sure that you have proper medical insurance while you travel is also important if you plan on driving a motorbike during your gap year. These policies can be purchased prior to leaving home, though reading the fine print is important so that you know exactly what is covered and what is not regarding your motorbike – including if policies are valid overseas. Before driving a motorbike in any country make sure that you read up on the rules of the road so that you are not a danger to yourself or others while you drive. Check in with the embassy or consulate of the country in which you will be driving so that you can begin to learn local rules of the road before you leave home. Also remember that any sort of driving under the influence of alcohol or drugs should be avoided, that driving while tired or jet-lagged is inadvisable and that wearing a proper helmet and gear while riding a motorbike is always a good idea. Many gap year travellers find that riding a motorbike is a good way to get around while they are travelling. If you are considering driving a motorbike during your gap year, be sure to find out more about your driving licence, insurance policies, and the rules of the road before you leave home.